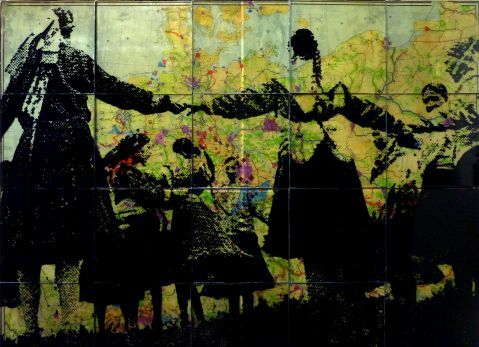 Eva Mileusnic, ‘Mitteleuropa: child’s play’, Enamel paint on sections of vintage map of Europe, resin, lead, 2012. Photo: Eva Mileusnic. Courtesy: the artist.